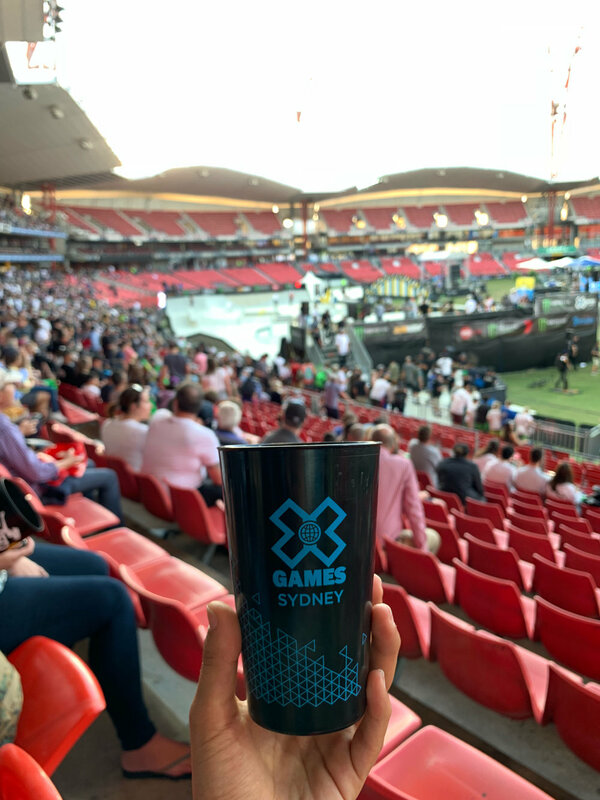 In 2018 we partnered with the Sydney Showgrounds (Giants Stadium) and made the first ever XGAMES and stadium in Australia to be disposable cup free. 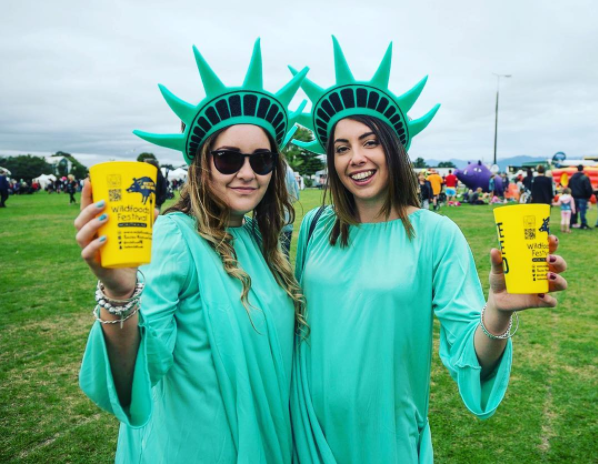 Over 30,000 cups were supplied to the Sydney Showgrounds in 2018 at the Xgames to allow the venue to go disposable cup free for the first time in Australian History. As the weather heats up, so does the competition for events. With a huge lineup of festivals dropping in Australia’s sunny season, how can you ensure that your event makes the cut for attendees this summer? To stand out in a crowded market, you need to offer an event that is fresh and will drive serious FOMO (fear of missing out). Read on to uncover three ideas for selling out your event this summer. Remember when we had to wait forever for the hottest TV shows and movies to come to Australia? The internet took care of that. Now we can watch the latest episode of Games of Thrones within hours of the premiere in North America. This appetite for global entertainment trends can also be applied to events. Thanks to social media, Australians get an instant update of what is hot overseas, and increasingly expect that they will see the same standard of entertainment/fashion/food when summer arrives down under. With the summer festival season wrapping up in the Northern Hemisphere, now is the perfect time to take a look at what was hot (or not) at recent outdoor festivals. Use online search and social media to research events like yours that took place over the US/UK summer and see what had everyone talking. We’ve all experienced the social pressures of the ‘silly season’ — with the end of the year looming like a deadline to see every friend, colleague, and family member we have. This could be seen as more competition for your event, or you could use it to your advantage. People want to catch up with their friends over summer, so give them an unforgettable place to do it. An Eventbrite survey revealed that 48% of Aussie millennials believe that some of their best memories come from an event they attended, and agree that attending events with family and friends deepens their personal relationships. If your event is designed and marketed toward making memories this summer, you could attract larger groups and sell more tickets. To super-charge your ticket sales, sell directly through social media. This captures people in the same place where they engaged with friends and make plans, encouraging them to purchase sooner and invite a group. Did you know? Eventbrite users can sell tickets directly through their social media channels with Facebook Checkout and the Get Tickets’ button on Instagram. Can you imagine keeping a child entertained for six weeks straight? If you have kids, you’ll already know that this is the reality faced by parents across Australia every year when school breaks for summer. Eager to get their kids away from screens, this is a market seeking outdoor events to attend. Once upon a time, “family-friendly” meant that kids were catered for, with very little on offer to interest their parents. This is shifting now, as the event-loving Generation Y are having families and want to continue enjoying live experiences they love, with the brood in-tow. Eventbrite research found that more than two thirds (68%) of Aussie Millennials are attending more daytime, family-suitable events on the weekend now than they did five years ago, a trend driven by the older 26-34 year old Millennials (73%). Why lose loyal attendees as their lives begin to shift? Keep them by catering to the millennial parent market. You don’t need to invite the chaos of a McDonald’s playground into your event to accommodate younger revelers. There are plenty of simple tweaks that event creators can make to existing adult-focused events to capture the parent market. For example, summer music festival Rainbow Serpent have introduced a Kids Space with music and performance activities for little ones and a dedicated Family Camping zone with reduced noise late at night. We round up 5 of the best beer festivals taking place across New Zealand this summer. All of them are reusable and are the most sustainable festivals out there. From Queenstown to little old Cambridge. We put the spotlight on 5 beer festivals worth adding to your summer calendar. Join the beer festival that has to sample 300+ craft beers and ciders from a selection of NZ's best craft breweries! Plus taste your way around the wares of the best food trucks in town and get down to the sounds of some great live entertainment. The Great Kiwi Beer Festival is a celebration of the brewing industry in New Zealand, hosted by industry experts. Attendees will be able to sample brews from diverse locales spanning from Europe to Asia, and the presence of many brewmasters onsite will give patrons the opportunity to interact with the people behind their favourite brands. With live performance, cooking demonstrations, seminars, brand experience areas, beer and food matching and much more, The Great Kiwi Beer Festival is the ultimate "cheers" to New Zealand's affinity with the great amber nectar. Lock it in friends: the November with see the Fifth instalment of the Dunedin Craft Beer & Food Festival take over the entire pitch of the Forsyth Barr Stadium. With tantalising treats that'll appeal to every kind of palate, and entertainment for the young and old - from seminars to bouncy castles to high-quality kiwi music - we reckon it's the highlight of the calendar year! Come check out some of New Zealand's best craft breweries in the heart of Queenstown: Garage Project, Tuatara, 8Wired, Panhead, Cargo and many more. Set in the mighty Queenstown. Who could ask for a better place to have a beer? The Chow & Tipple is a boutique Food, Beer & Wine Festival based in Cambridge, New Zealand. The inaugural event is set to take place March. Beast of a Feast returns in 2018 and this summer's hottest craft beer and food festival in Mount Maunganui! A rockstar lineup of some of New Zealand's best breweries and street food vendors provides the perfect setting for you to acclimatise to a new year! Challenge your mates to a match of table tennis or perhaps meet the brewers behind the beers at ‘The Beer Affair’ tent. Compete for spending credit with competitions throughout the day! Or just sit back and enjoy the entertainment on the big stage! Beast of a Feast will be held on the 3rd of January at Soper Reserve, Mount Maunganui. 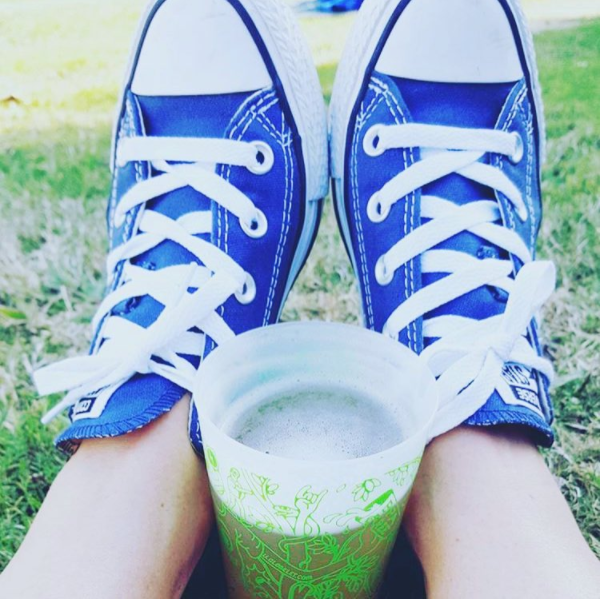 Do you know of any other great Beer Festivals that should be reusable and sustainable with Globelet? We round up 10 of the best music festivals taking place across Australisa this summer. They are also the 10 greenest festivals on this side of the ditch. From Beer Gardens, Surf Beaches, to watching the action from your very own yacht, or just surfing someone New Zealand coastline – there’s something for everyone when it comes to summer music festivals here in New Zealand. The first festival to see the sun. This year the organiser’s have gone all out to produce an unforgettable experience with a consistent line-up of hard hitting party starters. The festival sold out last year and we almost sold out of reusable cups. If there is one festival to go to down under it is this. New Zealands best kept secret. Splore is likely to be one of the best music festivals in the world. Set in a spectacular location – you can watch acts on the main stage as you soak up the sun on the beach, or even from the yacht. Yes, you can bring your own boat. Splore also focused on becoming a Zero Waste festival and have their own wedding chapel. Northern Bass brings together all elements of local and international bass culture even the most clued-up enthusiasts didn’t even know about – grime, drum n bass, boom bap, neurocrunk, glitch-hop, ghetto funk, hip-hop, funk, dubstep and more. The World of Music, Arts and Dance (WOMAD) brings together a melting pot of styles and artists from across the globe and throws them right into the heart of the mighty Taranaki. The festival has a central aim of celebrating the world’s many forms of music, arts and dance and is known for its breathtaking performances and family friendly atmosphere. They celebrate ten years on the block this March. Woodford is the 6-day summer festival of freedom, music and expression. Set in the deep forest inland from the Sunshine Coast. You will be blown away by one of Australia's oldest and best festivals. The festival is a multi-genre event with an array of different styles of music. Set in the beautiful Kapiti Coast. Coastella you could say is New Zealand's play on the famous, Coachella :) But on the coast. Only 30 minutes out of Wellington it is one of the newest music festivals to open up in New Zealand! The one-day Festival showcases established and emerging local and international artists with an eclectic range of music covering indie rock, Americana, folk, Irish, pop, New Orleans swing, hip hop, singer songwriters, dreamy pop and electro. Enjoy four days of Sun, Surf and Soul at the beautiful Kings Beach on the Sunshine Coast! The eleventh annual Caloundra Music Festival will be held over the September/October long weekend. The beautiful Kings Beach and surrounds will come alive to the sounds of a diverse line-up of entertainment featuring the best of the Australian music industry as well as incredible international artists. This not for profit family-friendly community event celebrates the environment, cultural achievements and community pride of the Caloundra area. One of the most iconic events in New Zealand. Hokitika Wild Foods is a festival not to be missed. Over 6000 people head to the one prettiest parts of New Zealand to experience a food and Music Festival like no other. Prepare to eat testicals and Sperm while you kick back and listen to good music at night, while sipping one of New Zealands most famous craft beers out of a Globelet. Ranked one of the most popular music festivals in New Zealand. Nostalgia started as a boutique music festival on the side, to become one of the most successful up and coming festivals in New Zealand. An exclusive showcase of local food, drink, and entertainment - where top quality produce, products, and people come together with live performances from a select line-up of New Zealand’s finest musicians. The youngest of all our festivals who decided to be green from day one. Oro Festival is the latest addition to New Zealand's Music Festival scene. Oro is part owned by one of New Zealands Maori tribes and is set out amongst their forest one hour out of Auckland. 90% OF FESTIVALS IN NEW ZEALAND HAVE DECIDED TO BE GREEN. THEY HAVE STOPPED USING SINGLE USE COMPOSTABLE AND PLASTIC CUPS AND DECIDED TO SUPPORT NEW ZEALAND MADE AND STOP WASTE. HELP US CREATE A REUSABLE SOCIETY THAT MAKES OUR FESTIVALS GREENER. DO YOU KNOW OF A FESTIVAL THAT SHOULD BE ON THE LIST? *estimates based on event usage data, and cups sold.